When you are in Rome you can't leave without stopping in at Caffè Greco, the oldest coffee bar in Rome. A fixture for over 250 years, Caffè Greco is second only to Caffè Florian in Venice as the oldest coffee bar in Italy. Always crowded, very expensive, and very classy with waiters dressed in tails, Caffè Greco is one of a kind. It is not only a place to get a cup of cappuccino or a cannoli but a gathering place where you can actually sit and talk about current issues or your family. Italians stand and sip their espressos in the large front lobby where the table tops are made of marble and the huge wooden bar is beautiful. Tourists as well as those who wish to stay awhile head towards the back where there are several rooms, called interna sala, adorned with red velvet and rich décor. You will pay an extra ten euros for the privilege but the atmosphere alone is worth it. Quite an impressive list of writers artists, and composers have spent time here, and there is fact an old guestbook with yellowing pages where you can check out some of their signatures. Writers Goethe, Keats, Stendhal and D'Annunzio made this a regular hangout and Hans Christian Anderson used to live upstairs in a rented room. Casanova was known to frequent this bar during lunchtime while he worked as secretary to the Spanish Ambassador. Classical composers Richard Wagner, Liszt, Mendelssohn, and opera conductor Toscanini all spent hours at Caffè Greco drinking and discussing the issues of the day. Rossini was known to have composed in these rooms and even the American writer Mark Twain spent time here when he was in Rome. Today Caffè Greco is still a place where intellectuals like to come to have a sophisticated conversation. 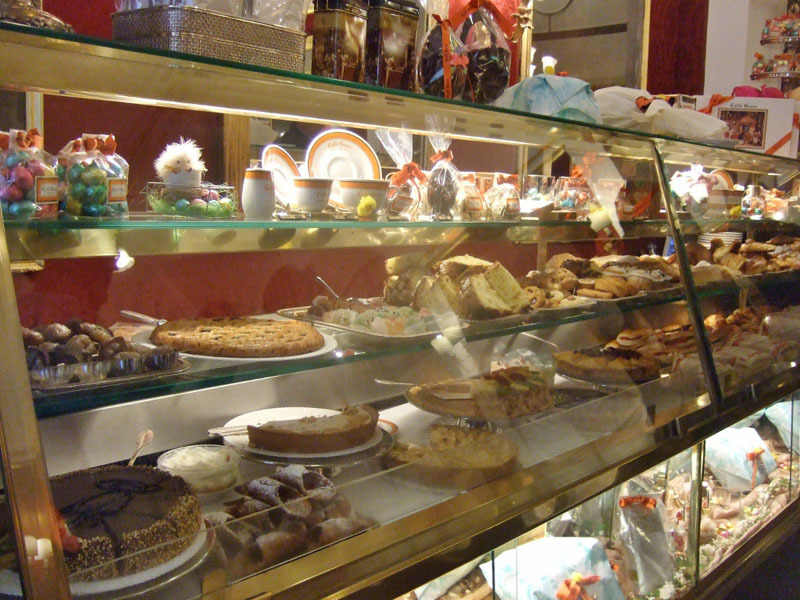 Besides all the variations of coffee here there are rows of delicious sweets or dolci. When I was there recently I had a cannoli and even though it was six euros it was so worth it. It was one of the best I had tasted north of Sicily. I wish I had known at the time that I could have hung out in the front and eaten it at my leisure while people watching. I thought you had to pay the ten euro fee to sit down or else leave once I bought something. Next time I will spend more time and maybe even pay the ten euros to sit in one of the rooms in the back. Caffè Greco is almost like an art gallery since there are so many collections of old paintings and 19th century frescoes on the walls. On the walls are also some portraits of some of the more famous patrons. There are over 300 works of art here which makes this the largest private art gallery that is open to the public. 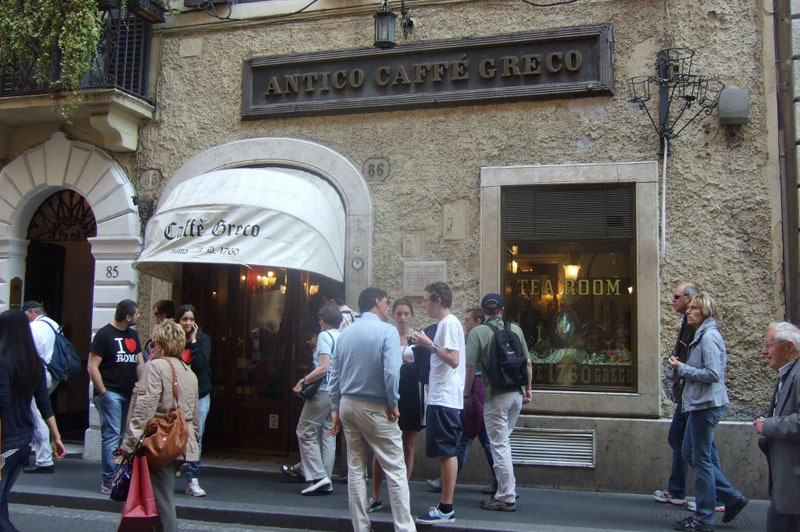 Centrally located in the heart of the historic area of Rome, Caffè Greco is located on via Condotti not far from the Spanish Steps. Open daily from 9-7 Caffè Greco is always an interesting place full of life. The house specialty features coffee made with lemon and orange and is called "Paradiso." 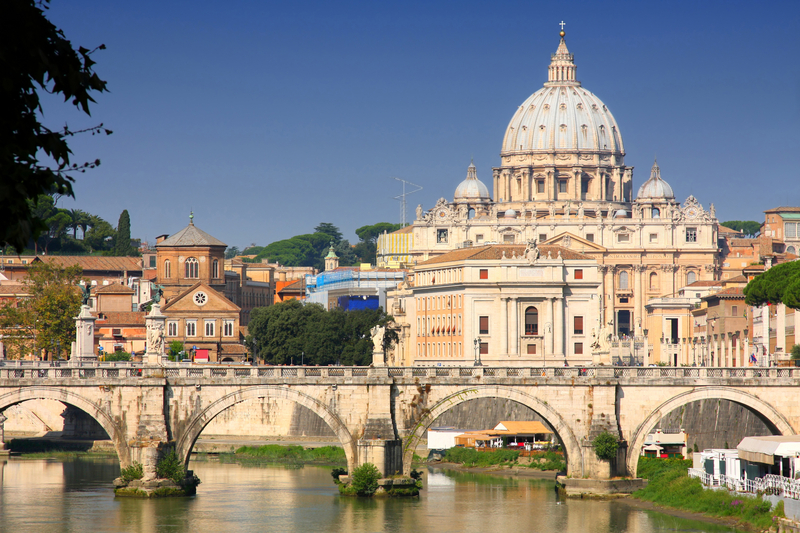 Don't miss a visit here on your next trip to Rome. You will not regret it. 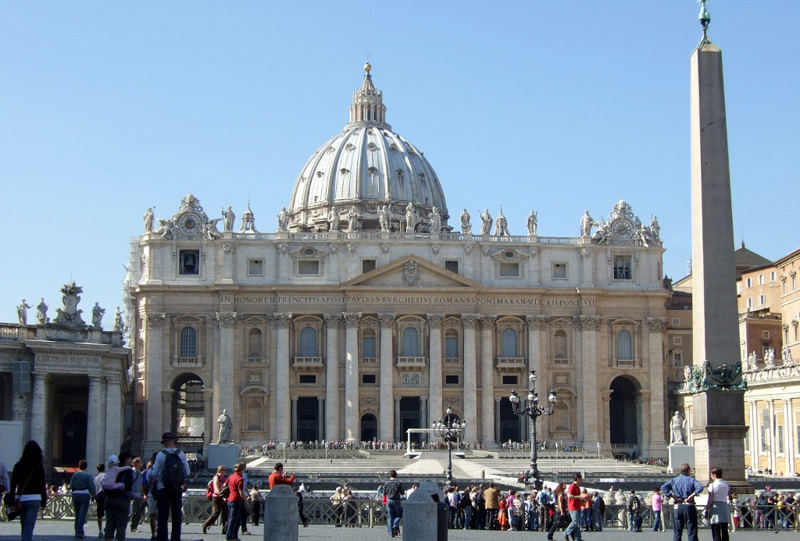 Visiting the Vatican while in Rome is one of the main agendas for most travelers to Italy. 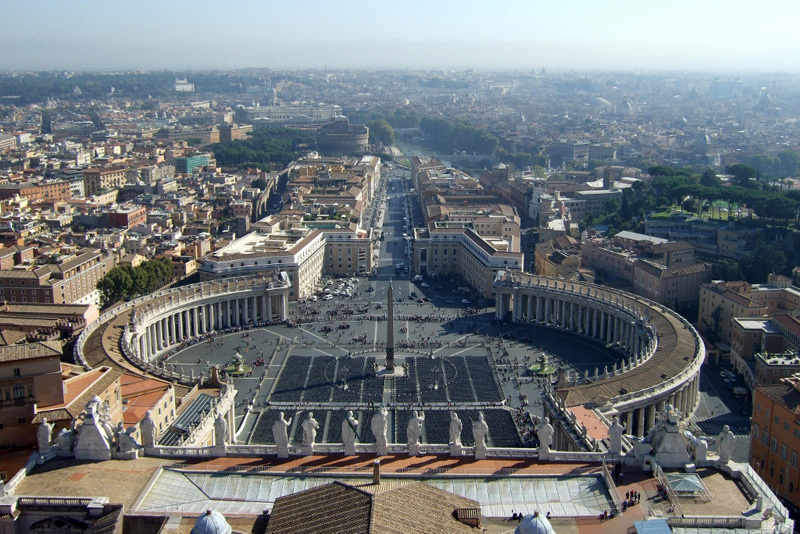 Vatican City is its own independent city-state and the smallest in the world, both by population and area. Established in 1929 as part of the Lateran Treaty, this walled UNESCO World Heritage site is actually within the city limits of Rome, on the left bank of the Tiber River. Always crowded with tourists, the Vatican takes up the better part of a day for a visit. Having visited the Vatican on five separate occasions, I have learned a few things. These insider tips can make the most of your time at the Vatican, and hopefully will make your day more enjoyable. 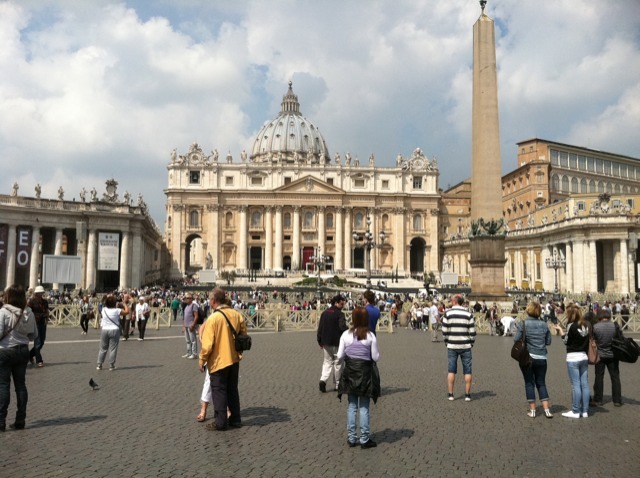 When planning your time in Rome, try to plan to visit the Vatican when it is less crowded. The fall and spring are the best seasons as far as crowds are concerned. Stay away on Saturdays, Sundays, and Mondays, and also Wednesdays if the Pope is in town. The weekends are always very crowded and especially the last Sunday of the month because the entrance is free. You still will likely pay a price, however, in the 2 or 3 hour wait you will have on those Sundays. It is a good idea to arrive either first thing in the morning, or between 11 and mid-day. It seems that by then the crowds have dissipated, but then soon afterwards they start lining up again. The Vatican has been selling tickets on their website so that you can purchase these in advance and skip the long lines for the museums. The entrance fee is 15 euros and there is an additional fee of 4 euros to purchase tickets online. Students with ID get a reduced rate. 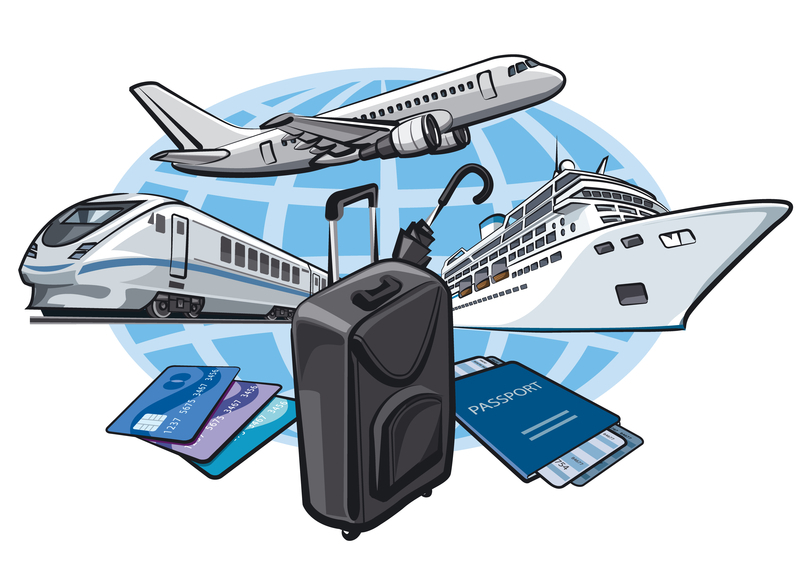 You may find however, that despite having advance tickets, many other travelers have done the same thing, so there are two lines, one for those with tickets and one for those who still need to buy tickets. Remember nothing happens fast in Italy. The one place in Italy where the dress code is strictly enforced is the Vatican. Security personnel keep a close watch on the crowd, and there are big signs informing everyone of the rules. On more than one occasion I have seen them turn away women with tank tops until they can find a way to cover their shoulders. (A scarf will do). Even in the heat of the summer, shorts are not allowed. Miniskirts or bare shoulders for either men or women are definitely not acceptable. This is particularly enforced in St Peter's Basilica, although the Vatican website indicates the dress code also is meant for the Vatican museums. 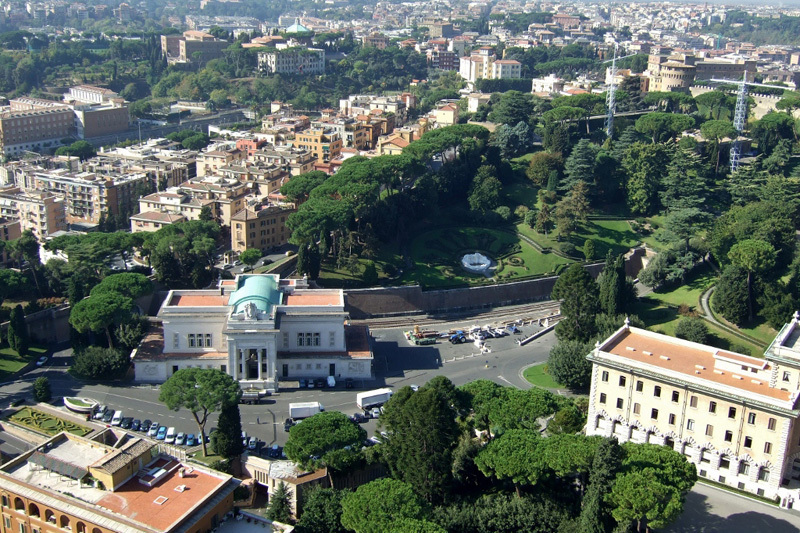 The Vatican museums encompass many different museums and it actually can be overwhelming. 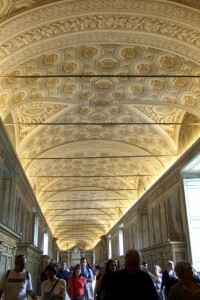 The final room is the one everyone wants to see, the Sistine Chapel with Michelangelo's frescoed ceiling. Security is tight in this room and absolutely no photography or video is allowed. The authorities are continually announcing "silenzio, no foto, no video," and they are serious. They will confiscate any cameras they see being used here. A day at the Vatican can be a long day and there are no places to buy food or beverages inside. It is wise to bring a few snacks or protein bars and some water as well to get you through the day. There are places outside of St Peter's Square but once you are in line, you'll be glad you brought something of your own. Enjoy this day at one of the most visited places in the entire world. I can almost guarantee that you will want to return one day. If you have time in Rome and want to do something a little off the beaten track, why not visit Cinecittà Movie Studios? Sprawled over 99 acres, Cinecittà translated means “Cinema City” and is affectionately known as “Hollywood on the Tiber.” Cinecittà Movie Studios are the largest film studios in Europe and they do feature tours for visitors. Located just 5.6 miles southeast of the historic district in Rome, Cinecittà Movie Studios is conveniently located to hotels and apartments in Rome, the studios can be reached by taking the Metro A line to the Cinecittà station. It is the only movie studio in the world where it is literally a one-stop movie production and includes pre-production, production and post-production all in one place. Today there are over 300 dressing rooms, 21 make-up areas plus administrative offices here. Two large tents and 22 sound stages are here along with an outdoor 7000 square meter tank which allows for filming of ocean scenes. Since 1937 3000 films have been shot in these studios and of these 83 have received Oscar nominations and 48 have been Academy Award winners. These include: Ben Hur, Cleopatra, La Dolce Vita, The English Patient, The Passion, Roman Holiday, The Pink Panther, The Agony and the Ecstasy and others. Some of the more accomplished producers and directors have made films at Cinecittà Studios and perhaps Federico Fellini can claim title to the most films here. Other famous directors and producers who have filmed here are Martin Scorsese with Gangs of New York and Francis Ford Coppola, who says that "I really feel at home here in Cinecittà." Franco Zeffirelli directed Romeo and Juliet here and Cinecittà Studios has been home to Roberto Rossellini and Mel Gibson among many others. This busy studio produces both national and international films today. Besides that videos, commercials, and television productions are shot here plus some photo shoots. Cinecittà Studios is a very busy place. Currently in production is another version of Romeo and Juliet featuring Paul Giamatti. As a way to provide incentives to filmmakers to shoot in Italy, Italian tax credits are available, as they are in other major movie cities such as New York City. At Via Tuscolana, 1055, Cinecittà Studios has tours which are open to the public. 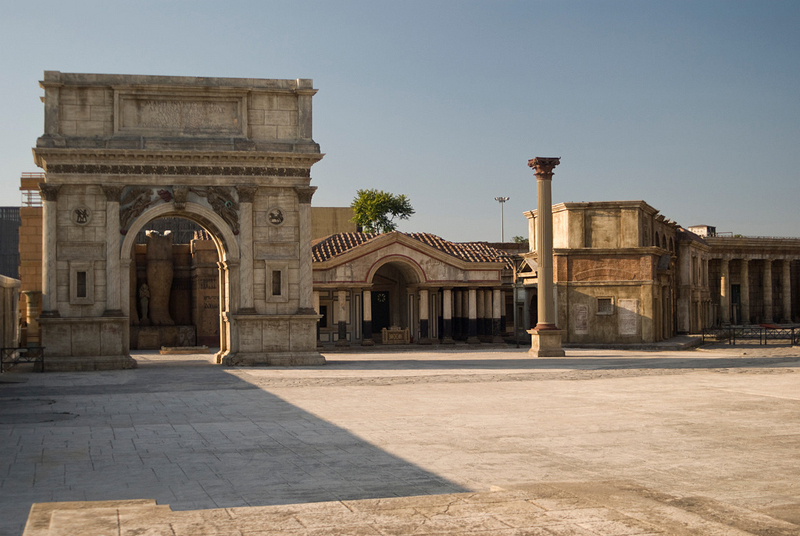 Its “Cinecittà Shows Off” has recently become a permanent exhibition where you can tour the back lots of movie sets of ancient Rome in an interactive fun tour. You will see costumes used in Fellini’s movies as well as dresses worn by Sophia Loren and Cameron Diaz in Martin Scorsese’s Gangs of New York. All aspects of moviemaking are explored as you tour rooms which focus on set designs, directing and sound and all the other aspects of film production. Tours are from 9:30 am to 6:30 pm daily except Tuesdays with slightly shortened hours on the weekends. Ticket prices range from 11 Euros to visit the exhibition to 20 Euros for a guided tour of outdoor sets and a look behind the scenes. Reduced prices are available for seniors and children. Cinecittà Studios is a excellent way to spend the day when staying for extended stays in Rome apartments and hotels and one is looking for something different. Visiting St Peter’s Basilica at the Vatican was one of the top places I wanted to visit in Rome and it truly is magnificent. I could spend all day inside and in fact have gone back on a number of visits. The other part of that is climbing to the top of the cupola and seeing St Peter’s from inside the dome. At the entrance to St Peter’s look for a sign saying “cupola” directing you to the far right. This will take you to where you need to go to locate a kiosk near the elevator which goes up to the dome. For seven euros you can ride the elevator as far as you can, and then you start walking the 320 steps to the dome. Interestingly there still is a fee of six euros if you choose to walk rather than ride the elevator for the first part of this ascent. No thank you, as the 320 steps were more than enough for me to contemplate when I took on this venture a few years ago. As you get off the elevator you will find yourself on an inner balcony which is actually at the base of the dome. You can spend as much time as you please here and you are able to take photos looking up to the top of the dome, as well as all the way down into St Peter’s. 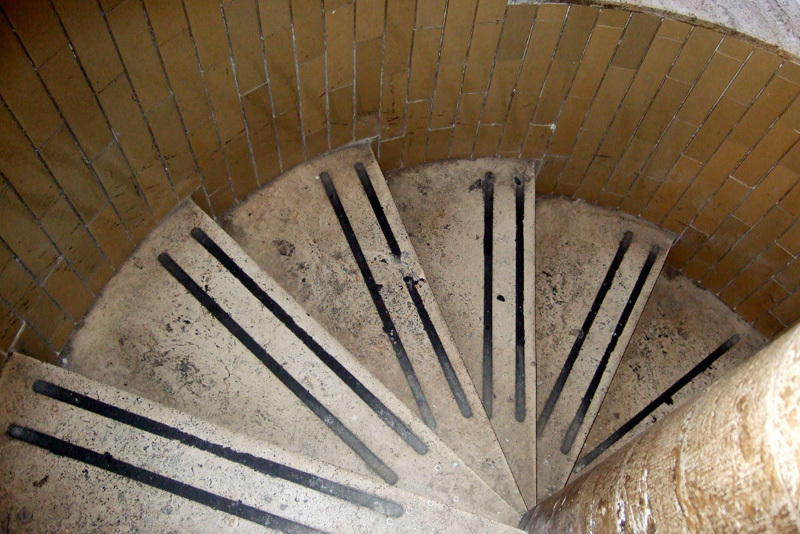 From here you can either start climbing the spiral staircase to the top or take the steps down to the roof level. On the roof level you will find restrooms, a water fountain, a gift shop and a newly opened coffee bar, which was not here five years ago when I made this climb. 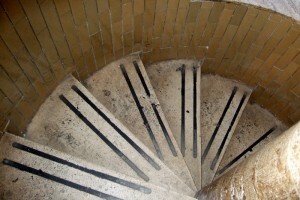 Once you begin climbing the steps you will find that the staircase curves and is quite narrow. Periodically there are small windows which give you a chance to take a peek out and get a glimpse of what your view from the top will be like. It’s also a good opportunity to take a short rest and catch your breath, as this climb is strenuous and will leave you huffing and puffing even if you are in fairly good condition. Once at the top though it is all so worth it as the views of Piazza San Pietro and all of Rome are nothing short of spectacular. Now this is the photo opportunity you have been anticipating and you can remain at the top to take it all in just as long as you like. On your way down you will emerge inside St Peter’s and this is one of the benefits of climbing the cupola prior to visiting St Peter’s Basilica, as you do not have to wait in the line again. Good luck! Vatican City in Rome, Italy, also called the “Holy See,” consists of St. Peter’s Basilica, the Vatican Museums and of course the Sistine Chapel. There are a few different options for getting around Vatican City. You can hop on a tram, bus or taxi. However, the best way to explore is by foot. You’ll learn shortcuts and see narrow streets that you wouldn’t experience on public transportation. Join Catholics and shutterbugs alike at the Vatican on Wednesday mornings to try to get a glimpse of the Pope. On certain Wednesdays when the Pope is in Vatican City, he holds a Papal Audience. 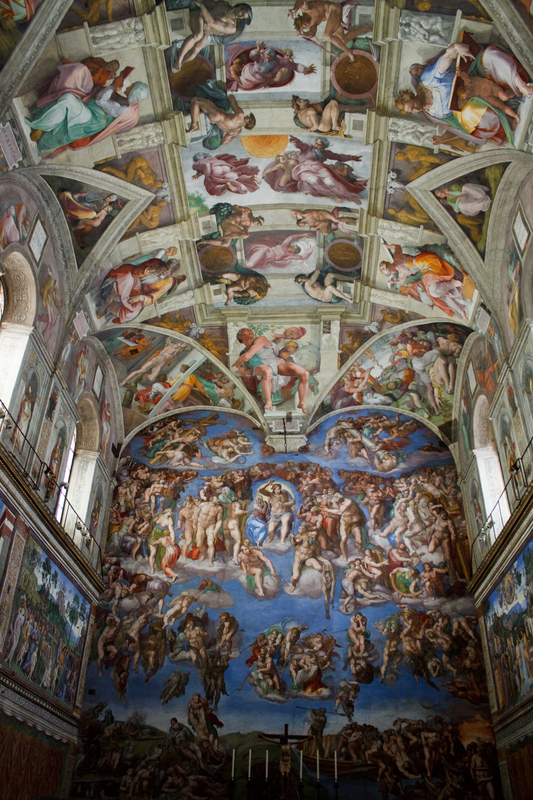 Visit the Sistine Chapel to see the frescoes on the ceilings that were painted by Michelangelo. The main scenes depict the stories of creation and Noah. 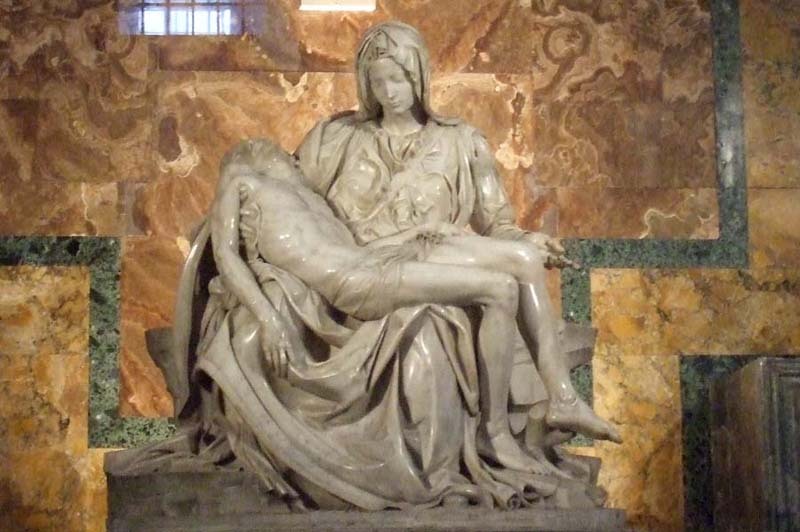 Since the Sistine Chapel is always crowded, get there before it opens at 8:45 a.m.
View Michelangelo’s sculpture work at the Pieta in St. Peter’s Basilica. Enter the Basilica via St. Peter’s Square on the east side of Vatican City or through the doorway that leads from the Sistine Chapel to St. Peter’s. The inter-connected Vatican Museums displays the sprawling art collection of the Roman Catholic Church. Started in the 1500s by Pope Julius II, the Vatican Museums include the Classical Antiquities of Greek and Rome, the Missionary-Ethnological Museum, the Gregorian Egyptian Museum and the Palace. 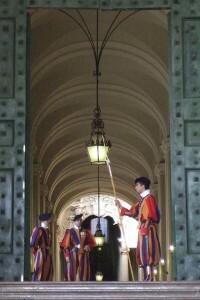 Plan on spending the better part of a day visiting the Vatican Museums. From June to September, Vatican City is extremely hot. July and August tend to be humid while the rest of the season is dry. Winters are mild and snow is rare. During November and December, the weather is rainy. The best times of the year to visit Vatican City are March, June, September and October, when the weather is mild. Dress appropriately when visiting Vatican City so that you don’t get shut out of visiting the Vatican and St. Peter's Basilica. Men and women must cover their shoulders and knees at all times, regardless of the weather. With all that walking and touring, you’re bound to get hungry. One of Vatican City’s best neighborhood pizza shops is Pizzeria Amalfi. Near the Vatican entrance is the laid back restaurant Il Bar Sotto il Mare. Head to Castroni if you have a huge appetite or Del Frate if you’re dying for a glass of wine. Imagine a city overflowing with exquisite art, legendary architecture, savory meals and endless possibilities. Think of a city where a overwhelming sense of wanderlust can be satisfied. A spot where sight-seeing, historical enlightenment and delicious wining and dining can all be done without spending an excessive amount of time going from place to place when one stays in one of the many apartments in Rome that are available. Luckily, one isn't limited to mere imagination. 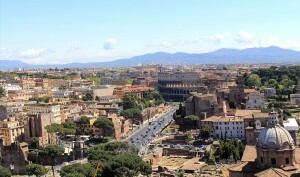 Italy's own capital of Rome exceeds these ideal expectations. When picturing the fantasy-like city, one generally concocts images of Ancient Rome first. Dreams of towering statues, dome ceilings, and innovative sculptures are also more than likely floating around. Other prominent images may include elongated cobblestone pathways, lavish kingdoms (the Regia) protecting Rome's royalty and a surplus of wine. 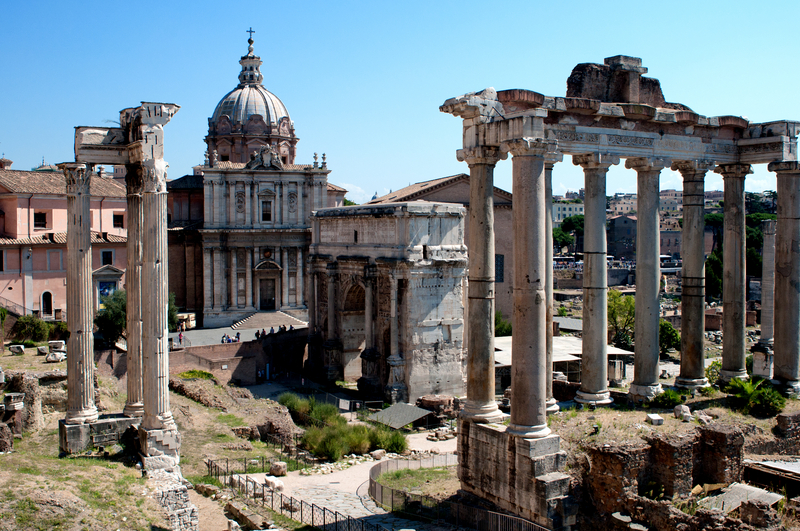 The Roman Forum is one of the most famous and desirable places to visit in the entire city, attracting millions of visitors from all across the world each year. It features incredible outdoor engineering and possibly most famously, the Temple of Caesar (or as it is fondly referred to by locals, "Ara di Cesare"). Near this spot is supposedly where the notorious ruler, Julius Caesar was assassinated. The Roman Forum requires consistent maintenance to uphold its current image. In spite of several restorations, when approaching the Roman Forum, one is instantly confronted with a powerful emotion of the past. One can clearly picture the eventful occurrences that took place so long ago. One is surrounded by mental visuals of political up-rise, criminal trials, rebellion, glorified violence among gladiators and acts of ultimate bravery. The Colosseum, slightly east of the Roman Forum, is another top contender for optimal Roman landmarks. Similarly to the Roman Forums, the Colosseum has endured tremendous events and therefore also needs constant restoration and upkeep. Unlike the constant violent events that happened at the Roman Forum, the Colosseum was only occasionally used to host gladiator duels but primarily geared towards theatrical interpretations and entertainment. This is a place noted for spirituality, as several plays where based off of ancient mythological tales. After a busy day of soaking up knowledge, before returning to ones Rome apartments, one will undoubtedly build up an appetite and seek to end the day at a lovely restaurant. Thankfully, there are numerous eateries near the ancient battlegrounds. Located right in the center of Rome is a highly popular dining establishment showcasing traditional Italian food, La Teverna dei Fori Imperiali. Here one can eat without feeling completely cleansed of Ancient Rome. No matter how many times I have been to Rome, I find myself going back to the Trevi Fountain. Maybe it’s because of the tradition that says if you throw a coin into the fountain you are guaranteed to return to Rome. Whether that’s it or not the Trevi Fountain is one of those places that feel different every time depending on the time of day and the crowds of people. Not like other typical circular fountains in piazzas, Trevi Fountain is a true work of art and considered to be the most beautiful fountain throughout the world. It is no wonder that it attracts millions of visitors every year and has the distinction of being the most photographed fountain in Rome. Always crowded the Trevi Fountain is an amazing place. For me there was a feeling of energy, a vibe that went along with being there and hearing the sound of the water cascading downward and feeling the enthusiasm of the crowd. The art sculptures are so awesome particularly since they were built onto the back portion of the ancient Palazzo Poli, making the entire area seem larger and more grandiose. Trevi Fountain is also called Fontana di Trevi (in Italian) and the name is derived from the Latin word trivium which means the crossing of three streets. Some also believe the Italian origin is tre vie, meaning three roads. 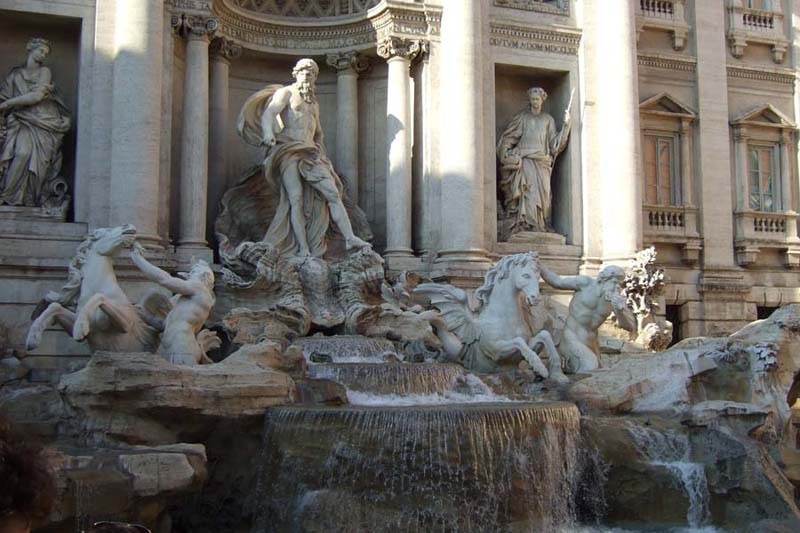 Either way Trevi Fountain is situated where three roads meet, Via De’ Crocicchi, Via Poli and Via Delle Muratte. Completed in 1762 the Trevi Fountain took 30 years to construct and is Rome’s largest fountain, measuring 65 feet across and standing 85 feet high. At night this Baroque fountain is illuminated adding to its magnificence. 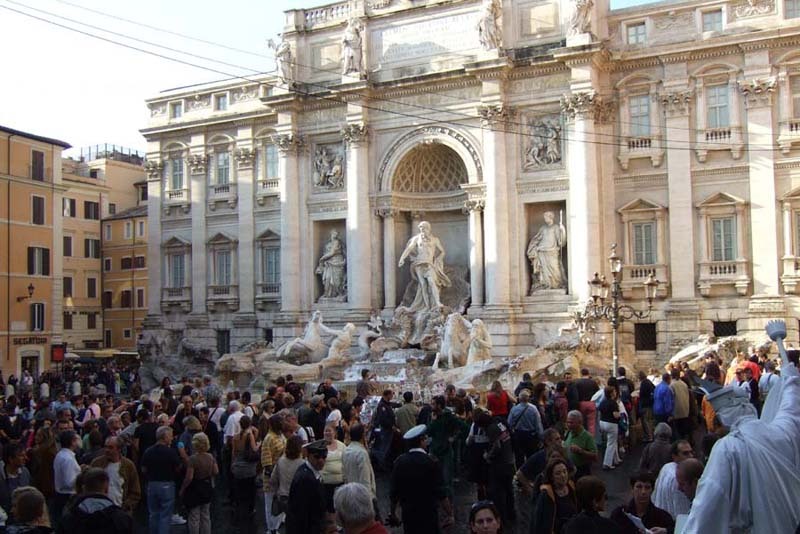 Featured in the 1954 film “Three Coins in the Fountain” as well as the award-winning Federico Fellini 1960 film, “La Dolce Vita,” the Trevi Fountain has become one of the most famous landmarks in Rome. It is estimated that the coins tossed into the fountain add up to anywhere from 3000 to 12000 euros a day. I like to believe the stories that say the coins are collected every night and given to charity. Recently however there have been stories in Italian newspapers reporting thieves making off with the coins while police watched. Situated in the center of the historic district of Rome, close to the Spanish Steps, Trevi Fountain is an easy walk from many of Rome’s popular attractions. 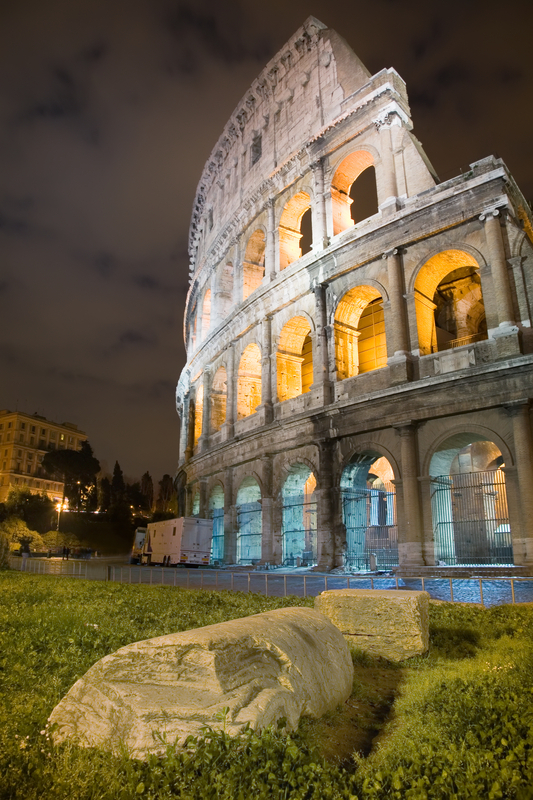 Don’t miss this amazing experience during your next trip to the Eternal City. 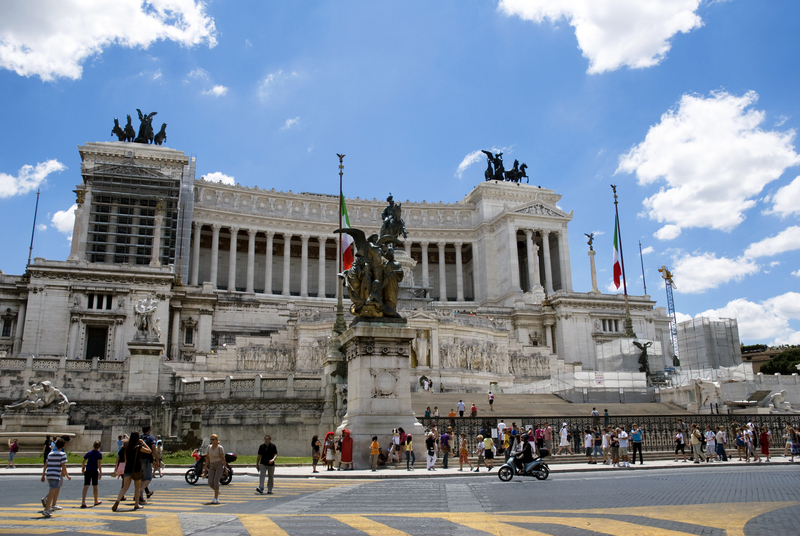 Although it is not the most popular tourist site in Rome, the Vittorio Emanuele II Monument is hard to miss since it is 443 feet in width and practically occupies an entire piazza. Over two million visitors a year stop inside the monument to see the museums, visit the tomb of Italy’s Unknown Soldier and to take advantage of one of the best views of Rome. Not so popular with the locals, this monstrous building has been nicknamed “The Giant Typewriter” and “The Wedding Cake.” It is in stark contrast to the other ancient buildings in Rome mostly due to its stark white color, gleaming for all to see. It was constructed from Brescian marble which maintains its bright white color through the years, to the dismay of the Italians. The Vittorio Emanuele II monument was designed at the end of the 19 th century and built in the early 20 th century to honor the first king of unified Italy. King Vittorio Emanuele had been the king of Sardinia and when Italy was unified as a country in 1861 he became the first king. Practically every city in Italy has either a monument or a piazza or a street named in his honor. The designer of this monument was Giuseppe Sacconi and the monument measures 230 feet high and is 443 feet wide. There are several staircases, colonnades, fountains, an equestrian statue with King Vittorio Emanuele and on the top are two sculptures of the goddess Victoria riding in Quadrigas or chariots with horses. The grand staircase takes you to the level of the Tomb of the Unknown Soldier and from there are two additional staircases that go to the top level. An eternal flame burns 24 hours a day at the entrance to the tomb with honor guards in attendance day and night. In 2007 a glass elevator was constructed, saving you some steps going to the top, although there still are a number steps to reach the level of the elevator entrance. For a cost of seven euros you can ride the Sky Elevator to the top level called the Terrace of the Quadrigas for one of the best panorama views of the city. For those who love to get their daily exercise (although there is no lack of opportunity walking in Rome), it takes about ten minutes to walk up all of the steps from the ground level to the top. On your next visit to the Eternal City you may be curious enough to take the Sky Elevator and capture some unbelievable vistas from high above the Roman Forum. Michelangelo’s Last Judgment – Have You Helped a Nun Across the Street Today? The Sistine Chapel is first and foremost a church. That’s very easy to forget when it’s packed wall to wall with people, or I suppose I should say tourists. Many churches are full of people and still look like a church. The people in the Sistine Chapel are in various modes of dress, mostly modest enough, in deference to the Vatican’s mores. The voices around speak every language imaginable, slowly they rise in pitch until the Corpo della Gendarmeria dello Stato della Città del Vaticano, demand quiet. This is a church after all. I understand how that can be hard to believe, pressed in as you are among the masses of humanity. The crowd can also make it hard to appreciate the beauty of the frescos that line the ceiling. As I crane my head to review the painting of God giving life to Adam, for a fleeting moment I wondered what it would be like to be alone in here. Then I looked at The Last Judgment and thought maybe the company wasn’t a bad thing. Placed directly above where the altar stands when the chapel is in church mode, is the above mentioned The Last Judgment, one of the most powerful pieces of art in the world. As the name suggests, the fresco depicts God’s final judgment on mankind. The face of Mary turned away in resignation at her inability to help the sinners at this point is perhaps one of the scariest aspects of the work since in the Catholic religion it is common to ask Mary, as Jesus’ mother, to intercede on our behalf. Mary’s expression in the piece shows that at that point, the dammed are beyond even her compassion. That said; I’m a strong believer in the fact that you can literally learn the joy out of something. I think The Last Judgment is a great example of this. If you want to read all about it after you see it, go right ahead, but first see it. Too much knowledge is a dangerous thing and if you’re trying to pick out bits and pieces you read about, you run the risk of missing the whole. And in this case, the whole is pretty powerful. It may also explain why the safest way to cross a street in Rome is next to a nun or a priest. After all, once you’ve viewed the scene of souls being cast into hell, you realize quite quickly that it is not something you want to take part in. All that aside, if you want to learn more about the Last Judgment after viewing it, they sell postcard and notepaper size reproductions along with books explaining the ins and outs of the piece. These include things like what saint each picture portrays; which of the dammed was actually supposed to be Michelangelo himself, and which depiction was a not at all private shot at one of Michelangelo’s critics of the time. They also sell large posters of The Last Judgment in the many gift shops that are scattered throughout the Vatican museums and the city itself. One of the people I met had bought a large poster of it and was so excited to have it. Said he was going to hang it on his wall. I don’t know about you, but I’m paranoid enough. I don’t need a constant reminder of what the consequences would be if I screw up. For more info on the Sistine Chapel and the Vatican museum you can visit the Vatican’s office website at www.vatican.va/.